Pamenar Village is like a stretch between land and water and has a unique nature. Sheehan Lake (Dez Lake), with its small and big islands, has created a beautiful view alongside the village. 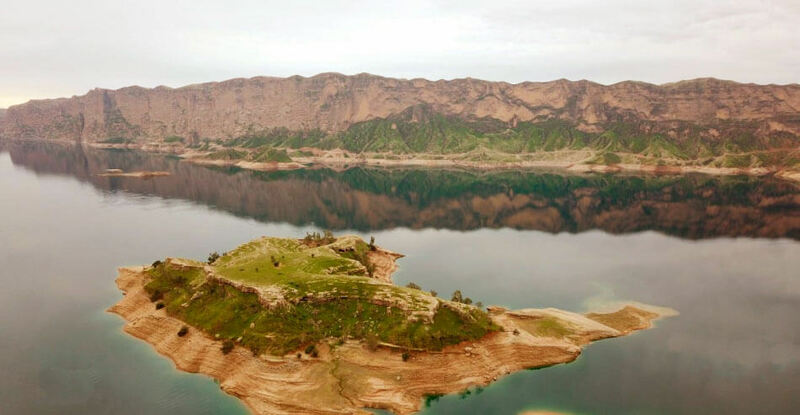 By visiting this village, you can see the world’s fifth largest dam with beautiful attractions such as the Shadab Castle and its historic cemetery. Pamenar is considered to be a tourist attraction, one of many in this particular region. 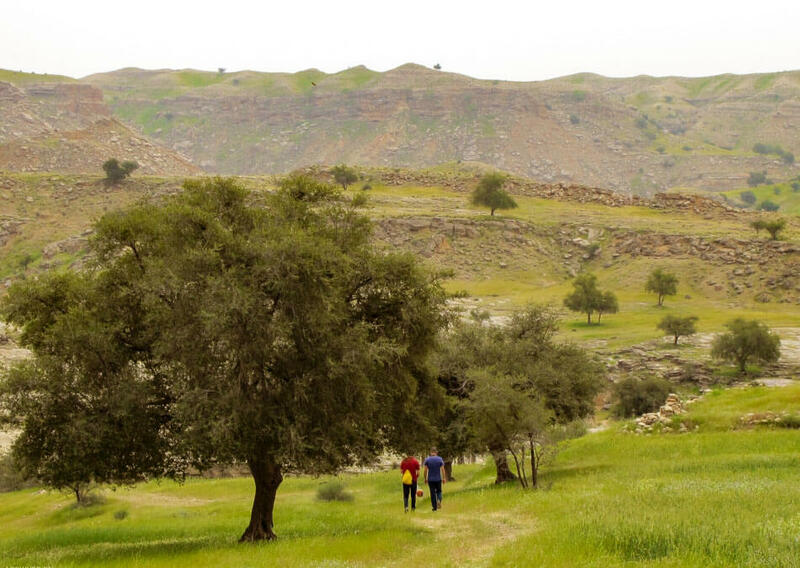 We go to southern Iran and get 40 km outside of the beautiful city of Dezful, and take a road of green velvet hills in order to get to our destination. 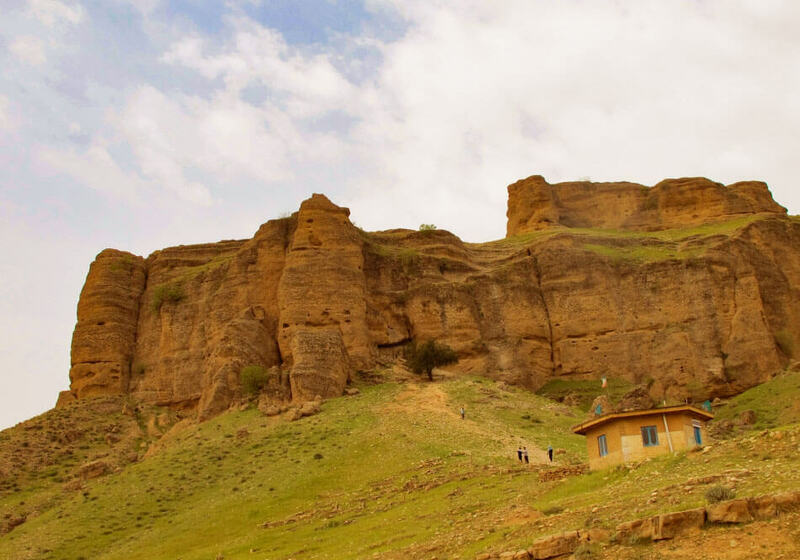 We are supposed to reach a village which covers 60 hectares of land, at the foot of a minaret that is steeped from hard and polished rocks of Zagros. In the village, there are no traditional houses, but there are simple houses with small porches, so in a way, it actually has some kind of a traditional feel to it. The nature in this region is equal to heaven in that it drives you away from reality and makes you dizzy. If you go to the Pamenar Village in winter and stand beside the lake, migratory birds fly in front of you and you can witness the beauty of it firsthand. Behind the village school, there is a host of white rocks that seem to be empty. Take your shoes off and walk over to reach a stone bed that serves as the border of the village. At night, if the sky is clear which it never is, you can see the town and its light. 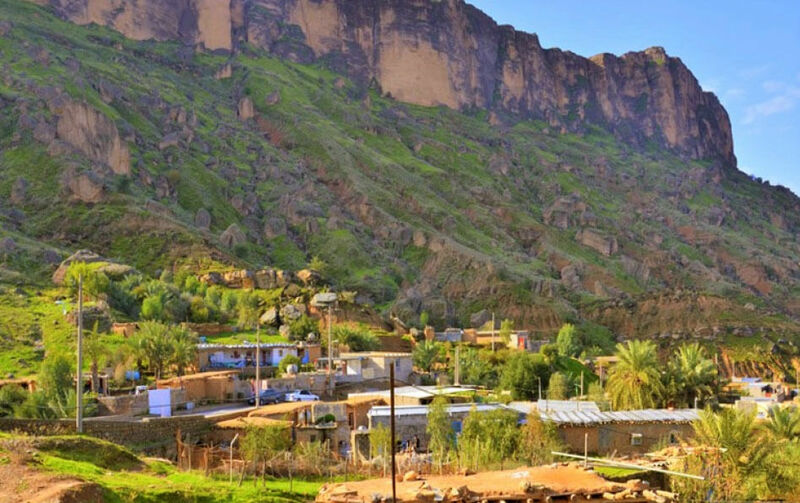 Pamenar Village is also the destination of people from the city of Dezful. 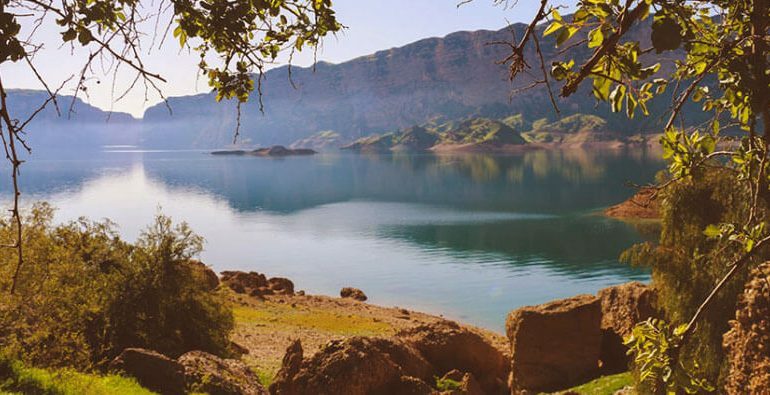 Pamenar Village is located between the two Karkheh and Dez dams and this has caused the natural beauty of this area to be unique in all aspects. 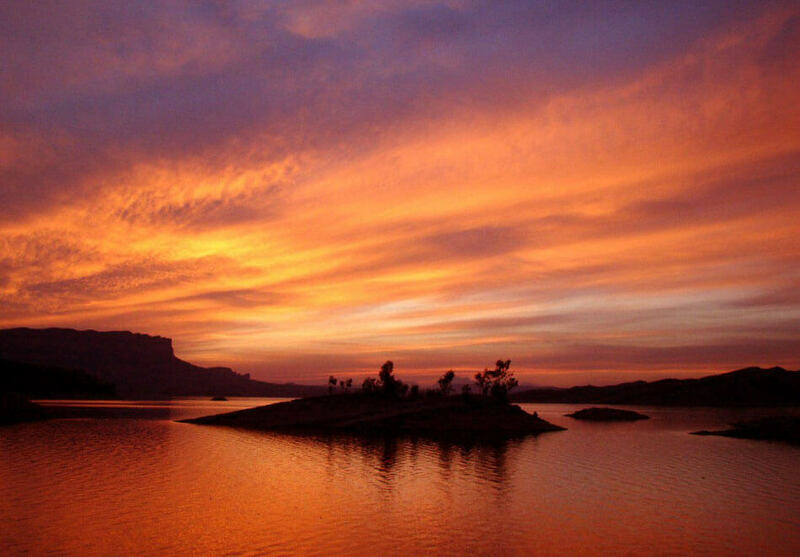 Dez Dam, also known as Sheehan Lake, is located north of Dezful and behind the mountains. The lake is artificially constructed on the river, which covers an area of over 6,000 hectares. 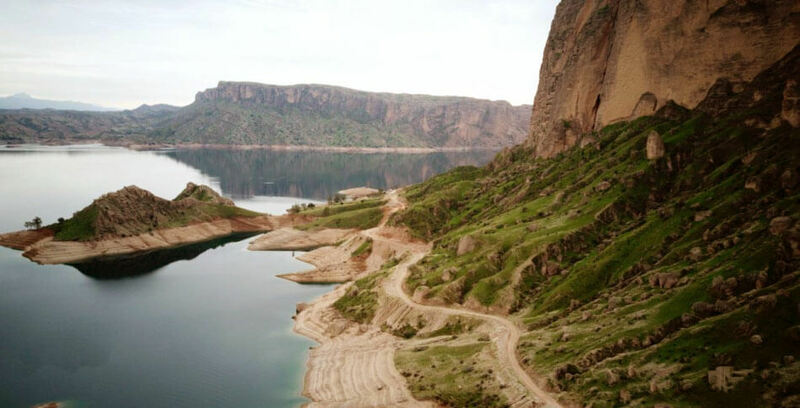 The water originates from Aligudarz Mountains in Lorestan and Markazi province (Arak). 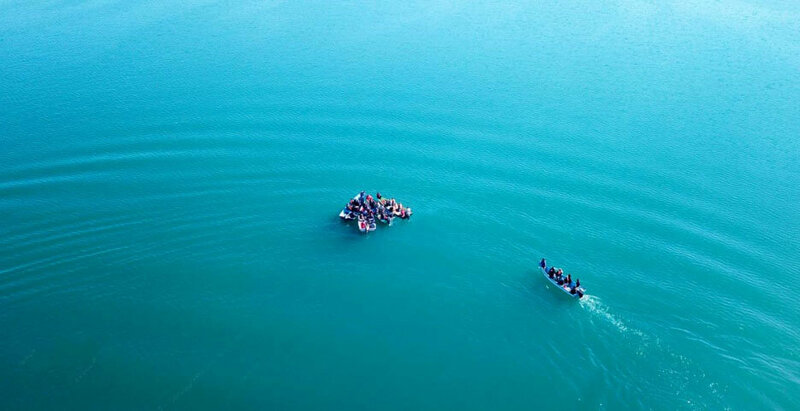 The lake has varying depths in different parts but reaches 50 meters in its deepest. Lake Sheehan has a number of small islands that give it a unique beauty. The largest lake is about 60,000 square meters. 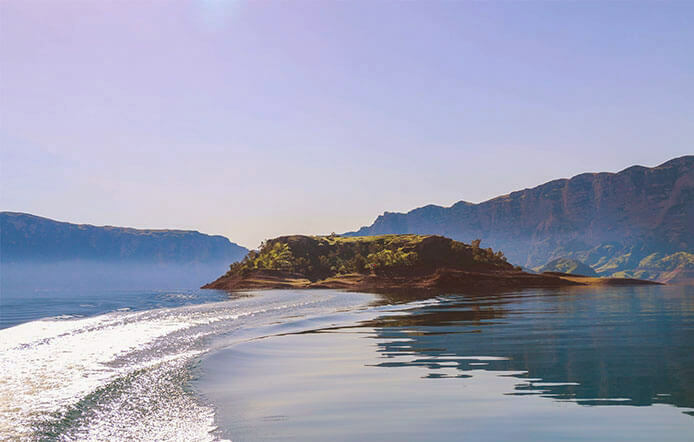 The islands are full of trees such as, Christ’s thorn jujube, Persian turpentine, Weeping willow, and Almond trees which are native to the area and are abundantly seen throughout the region. Small animals such as foxes and rabbits live on these islands along with birds such as See-see partridge and Partridge itself plus various seabirds. In some unknown parts of this particular region, leopards have also been seen. Imagine the beautiful village with all its beauty in the middle of the day under the golden light of the sunset, without any exaggeration, it is dreamy, and it can be a perfect destination for those looking for the best scenery for photography. But everything does not end here! At night if the sky is clear, the blanket of the tiny stars can be another subject for taking pictures. Another spectacular attraction is the small cemetery located below the castle in this region. In this cemetery, there are standing stones and each one has been carved out to tell the story of the dead. They tell us of men and women who have come before and have passed in this particular land. Some were dancers, potters, farmers, and painters. Next, to Pamenar Village, there is a smooth and polished sidewalk which goes on forever. It is located 30 km outside of Pamenar on the walls of the castle. 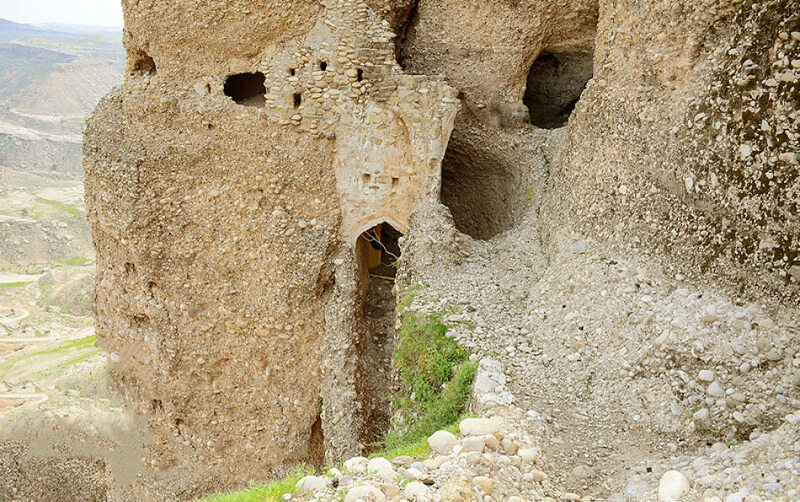 The castle itself was built in the Sassanid era and covers an area of 12,000 square meters, but there is no accurate information about its use and features. 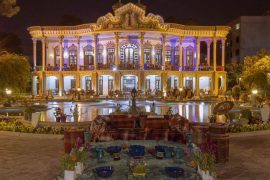 It is said that during the first Pahlavi period and until the early ’30s this castle was a defensive wall against robbers and looters, and it was even residential until 25 years ago, but its usage changed over time, and now it is used as a sort of barn. The castle has been built in the heart of a mountain and it is comprised of multiple tunnels. 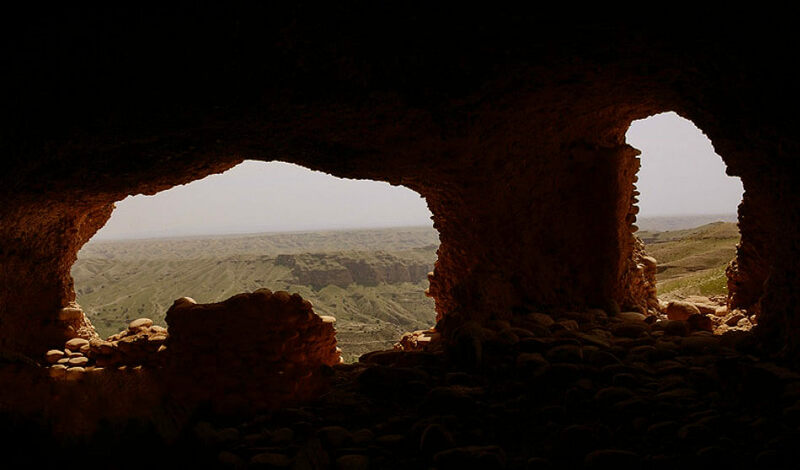 These small halls and caves are called “Kat” in the local language. Among the locals, the castle is considered as a place that legendary people once lived. The castle has two entrances, one of which is very hard and difficult to go through but the other one is very suitable for tourists and locals alike. It is said that the same harshness of the castle path has led to the victory of the people of this area against the looters. If you look down from above, you will see a magnificent convent that is created of almond trees and is an ideal place for adventure. 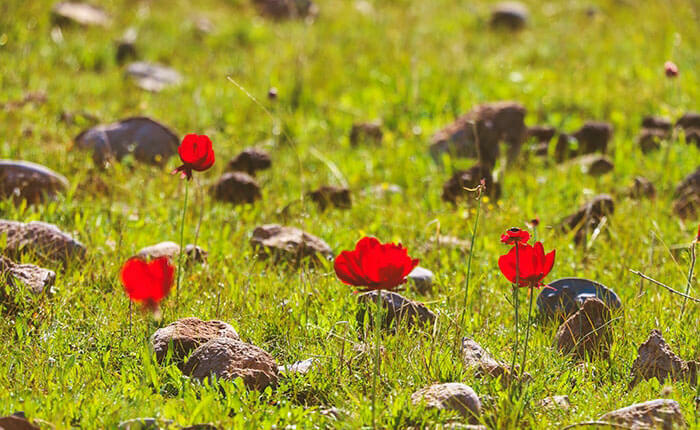 Spring: In the spring, Pamenar is a paradise on earth, which makes it obligatory for everyone to see it, but if you want to see the beauty of it in its natural state be sure to come before April. Summer: A trip to the south is not recommended in the summer; however, if you are so eager, you should be varied of the restless heart. Autumn: In this season it is quite windy, but there is no longer any green and beautiful trees. Winter: The best time to travel to Pamenar Village in winter is late in March. It is a concrete dam built during the reign of Mohammad Reza Shah Pahlavi on the Dez River, located northeast of Andimeshk. The construction of the dam, which took place in collaboration with American and Italian companies, began in 1960 and ended in 1963. The dam, with a final capacity of 3.3 billion cubic meters, helps lower water levels and plays an important role in controlling its flooding. Dez dam with a height of 203 meters at its time of construction was known as the sixth and now 50th largest dam in the world. 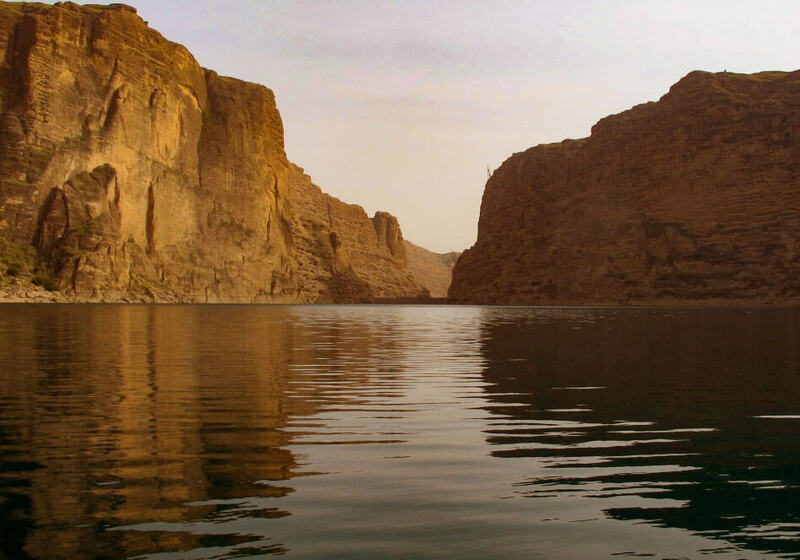 The Dez River is one of the most prominent rivers in Iran. For decades, due to its high level of flooding, a dam was built to help the people of the region with the drought that was plaguing them. 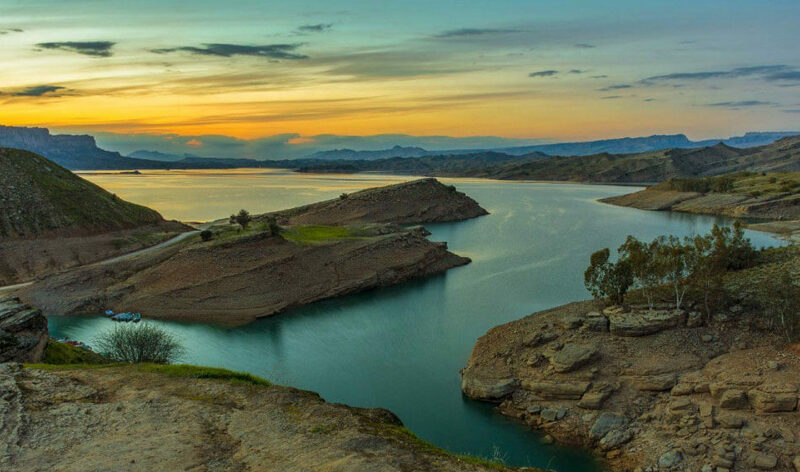 At the time of the construction of the dam, precise channels were carried out in cooperation with the Iran-California Company to ensure water that is behind the dam goes through the same channels to the fields, not only improving existing agricultural lands but also bringing about revival to another 240 hectares of various lands in this particular region.